Squeeze Plane Party Packs are great fun! These little stunt flyers provide hours of entertainment. 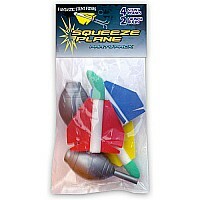 Squeeze the bulb to launch the stunt flyer 30' or more!